If you’re a regular at casinos whether online or land-based, there is little doubt that you would have heard the term “the house always wins”. This term was coined because essentially, a casino will always win in the long term against its player base. Let’s be honest, why would they even bother if they had as much chance of earning a profit as the players that frequent them? Each and every game that you will find at the online casino will contain a house edge over you and everybody else that plays them. That is not to say that you’re never going to win or that you will always lose, just that statistically over a large sample size, most players will lose money to the casino. The key is to be among the small minority of players that beat those statistics and come away consistent winners. For every winner, there will be a loser and the people that make a living out of gambling at a casino are the ones that have the skills, strategies and bankroll management knowledge to ensure that they fall into the winner category more often than not. Most importantly, however, these players will understand the RTP of each game, the house edge associated with them and their payout percentages. Simply put, they will stick to the games that will give them the best chance of winning due to having the lowest house edge. Any game of chance that you partake in at a casino, the outcome that you get will be completely random. It does not matter one little bit whether your game involves, cards, dice, reels, or a wheel, the result will be random after each spin, hand or roll. As much as you might think it does, luck really does not come into it as your chances of winning are down to nothing other than probability. Where the ball lands in a game of roulette, or what cards are dealt will be down to the laws of physics when at a land-based casino. When playing at an online casino, on the other hand, there is nothing physical to determine the results and instead, this randomness is simulated via RNG (random number generators). This software spits out random numbers every split-second with each of these numbers producing a different result in the game. They are designed to give players the same fairness and randomness that they would get when playing physical casino games. In fact, even in landbased casinos slot machines and other electronic games will also use this kind of RNG software to determine the results of each spin/turn/hand. As we stated at the start of this article, every single game that you find at a casino will give that casino a slight edge over you. A good example of this is the game of roulette where you might think a bet on red or black will give you a 50/50 chance of winning. Not quite, because there is a green zero on the roulette wheel which has a 2.7% chance of landing on each spin and therefore allowing the casino to take all of the wagers that have been placed on both red or black. While it might initially seem so, payout percentages really are not that difficult to understand. These percentages are just there so that players will what they can know what to expect with regards to how much they can win on average. In short, a payout percentage is the percentage of the money bet by players that a casino will pay back out as winnings for any particular game. RTP or “return-to-player” is another name for payout percentages and in fact, is what you’re most likely to see it listed at whenever you look for a particular payout percentage for a game. An RTP will usually range from about 80% up to the high 90’s depending on the game and the casino that you’re playing. Using an RTP of 96% as an example, this would mean that for every £100 wagered, the casino will, on average, payback out £96 of it to players. However, this should not be construed as what each and every player can expect from their money. This payout percentage is measured over a long period of time and collectively across all players rather than on an individual basis for an hour of play. The above is a very critical point and therefore you should understand that it could take many tens of thousands of games/spins/hands before an individual is likely to be on the end of a true representation of an advertised RTP. It should instead be thought of in the sense that the particular slot or casino game will pay out 96% of its takings on average across the player base over very long sample size. How the money is paid out to each player will vary greatly. Some could enjoy a winning run while others could lose their entire £100. You also have to consider that RTP does not reflect how frequent the wins on a particular game can be. An example would be that you’re going to win far more often on Roulette when solely making evens bets compared to betting on a single number with odds of 35 to 1. No matter what the bets and the size of the winnings of each, however, the RTP average will still be met in the long term as frequent wins are smaller while less frequent wins are larger. As we have clarified above, payout percentages are worked out over the long haul and what should be expected back from a game en masse for the players that play them. However, that winning frequency which is otherwise known as variance, or volatility, is what makes playing casinos worth it for each individual player. Would you play a game knowing that for every £100 that you wager, you would just get back £96? What would be the point? The variance of how the 96% is paid out among all players is where winners and losers are created. Somebody could gamble a single pound and walk away with a huge jackpot of £200,000 while somebody else could bet £1,000 twenty times by betting on essentially a 50/50 bet at roulette and lose each time. It is this variance that means players should practice good bankroll management to ensure that they maximise their winnings and minimise their losses. You can still lose even when making bets that have a good chance for you to get a return – so a player should always make bets that are sized well in terms of their bankroll. Splitting up your bankroll so that you’re making more bets rather than one big bet will mean that you’ll be in the game for longer and will stand a chance of hitting a larger payout down the line rather than losing everything in one go. Employing a good mix of bankroll management, playing games with a high RTP and a low house will give you the best chance of walking away in profit from a casino over the long term. Additionally, you should also think about playing games and bets that are high variance rather than simply playing the safer bets all of the time. The higher the odds of winning a bet will equate to more frequent wins but much smaller payouts and would require you to win quite a lot more than you lose over a sustained period of time. Lower odds bets played frequently with smaller bets might bean fewer wins but they will be far bigger when they come in. Because the regularity of wins is random, you might just get one of those big wins early on in your session which gives you a good opportunity to walk away as a winner very quickly. You should also note that you can enhance your bottom line and chances even further by taking advantage of bonuses and promotions run by a casino. A welcome bonus, deposit bonus, free spins and other promotions will give you far better value for your money when you consider what the rewards could be. To further maximise your returns, you as a player should be taking advantage of as many promotions and bonuses as possible at an online casino. Generally, you’re going to be getting something for free with these bonuses, so instantly your RTP has just got better no matter which game you’re playing. These bonuses are only offered to new players that sign up, register and make a deposit at an online casino for the first time but these are usually the most lucrative. In many cases, a new player can get their hands on as much as £500 to £1,000 in free money on top of their deposit. This is because most welcome bonuses are match deposit bonuses that will match a certain percentage of the amount deposited. Some casinos will offer as much as a 200% match deposit bonus while others will even throw in some free spins as part of the deal as well. Be aware that there will be playthrough requirements that you will have to work through before being able to get your hands on any winnings though. Still, if you wanted a little bit of a helping hand when trying to beat the online casinos, use their own welcome bonuses against them. Deposit bonuses are very similar to what you’ll normally get from with welcome bonuses but these are generally toned right down in terms of how much you will get. This is mainly because a welcome bonus is there to attract new players and a standard deposit bonus is more to give something to the current player base. That said, these are still more than worth taking advantage of when you get a chance. You might get a 50% match deposit bonus of up to £50 or £100 depending on the online casinos that you use. Another common type of bonus is the no deposit bonus which does not require you to even give the online casino any money for you to use. Normally these bonuses will require nothing more than your registration at a casino. These are usually very small bonuses though, usually about £5 and you’ll also have to make a deposit at some point if you wanted to be able to withdraw any money that you won with the free money you were given. A firm favourite when it comes to casino bonuses is that of free spins and many online casinos will hand these out randomly. These are either given out alongside the other bonuses mentioned above, as a part of a VIP program at an online casino or even just as a gesture of goodwill. Free spins are what you might think, free spins on a specific or choice of online slots. Once again though, it is important to read through the fine print as you’ll not always find it straightforward to be able to withdraw any winnings that you might earn from them. There will be some kind of playthrough requirements at most places, so just make sure you know what these are. You will also be able to take advantage of some additional value via an online casinos VIP or loyalty program. These will obviously differ from casino to casino but you’ll normally be able to exchange loyalty points for free spins, bonuses, free cash and various other goodies that will be of some value to you. These programs are designed to reward players the more they spend and play at the casino. High rollers, in particular, are invited into these VIP schemes obviously because they are able to spend a lot more and therefore (usually) give the casino more profit down the road. If you don’t know what online casino bonuses are you can read it here. The laws regarding RTP will differ from country to country or in the case with the USA, from state to state but in the UK these are quite straightforward and transparent. There are no laws that state that there is a minimum RTP requirement such as you might find in some states in the US which means that an RTP can be as high or as low as the games developers and casinos decide to set them. One rule that casinos both online and offline have to adhere to regarding RTP is that the UK Gambling Commission requires all casinos working under its jurisdiction to make the RTP for any game readily available. Thus when you visit a landbased casino this RTP will be displayed somewhere on the game or when you play online, this can be found either in the games instructions or help menus. One thing that should be noted is the fact that an RTP for a slot or game can change from casino to casino. So with that in mind, always check to see what the RTP is even if you have played the very same game elsewhere. You can see a list of all the RTP for online slots here. When you go to a casino whether live or online, you will be presented with a range of games to play and each of them will have a set RTP attributed to them. Below are the standard RTP that you can expect to see for most games you will see but you should still check each of them before placing any bets. There are three different variations of Roulette, with American, French and European and each of them will have slightly different RTPs. As you can see, American Roulette offers the lowest RTP and this is because of the wheel also has a ‘00’ as well as the standard ‘0’. If you have a choice of Roulette games to play, always avoid American. As you can see from above, as there are so many different online slots that you can play, there is a massive variety in the sort of RTPs that you will experience. Generally speaking, you’ll be playing with an RTP of between 90 – 99% and this should be displayed as part of the UK Gambling Commission regulations. 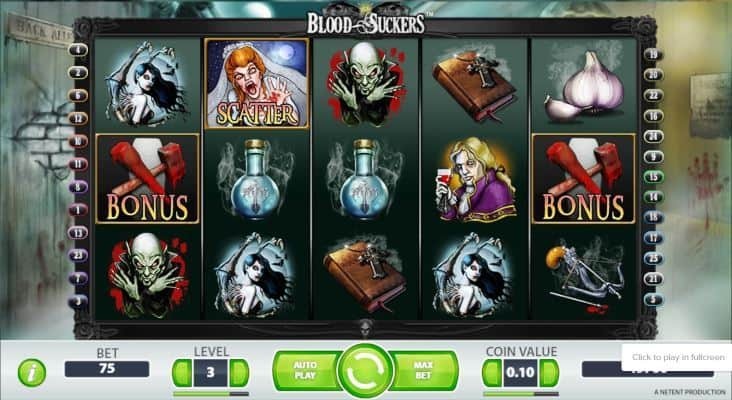 NetEnt is one of the oldest and most successful online slots developers around and one of their very best is that of Blood Suckers. This enjoyable slot has 5-reels, 25-paylines and two excellent bonus rounds that can pay out some impressive amounts. Graphically this slot is impressive but it is the RTP of 98% that is probably the main reason many players are attracted to it. You will also be able to unlock 10 free spins on this excellent online slot which will even have a 3x multiplier attached to any wins that you might bring in. 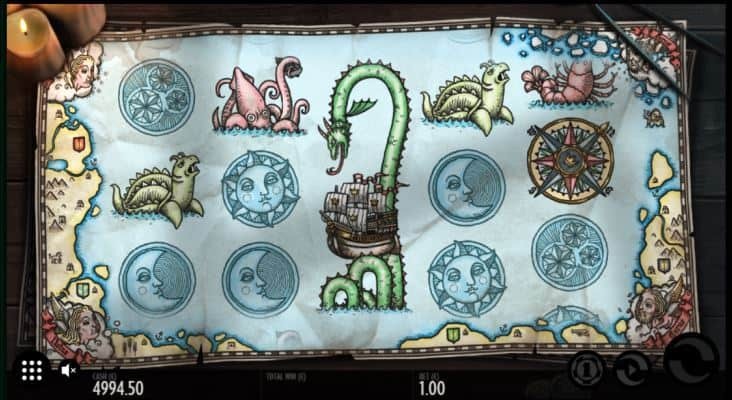 Another popular choice at the online casinos is 1429 Unchartered Seas by Thunderkick. This mainly because not only does it have a high RTP of 98.63% but it is also quite volatile as well, which means that the prizes can be quite significant when they come along. It is also a good looking slot with a number of interesting features such as expanding wilds for players to take advantage of. 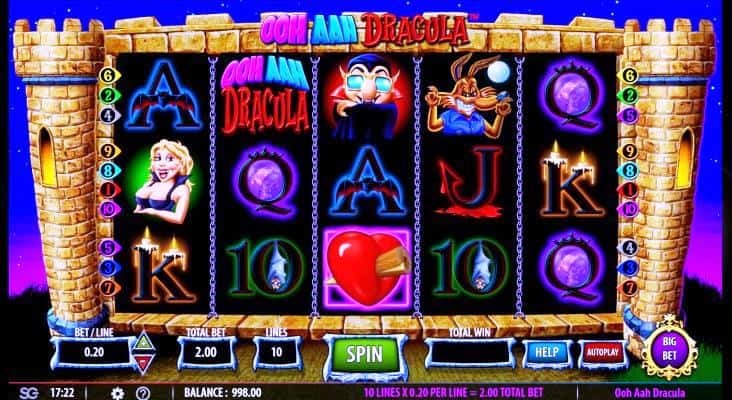 We saved the best RTP for last with Ooh Aah Dracula, a Barcrest online slot that gives the online casino just a 1% house edge. Here you have 5-reels, 10-paylines and a bunch of bonus features such as wild symbols, scatter symbols and free spins. While this slot does not have the best graphics that you’re likely to see, this is a very small concern when you consider its payout ratio. It should be noted that this ratio will only be achieved if you play 5 rounds at an increased stake of up to 30x your original stake. During normal wagers, you will still have a solid RTP of 96% though. Now while most of you will be happy enough playing at the above online slots safe in the knowledge that you’re enjoying some of the best RTPs out there, some of you will know that playing some of the lower RTP slots can have very lucrative results. The casino might have a better house edge with these slots but most low RTP slots are actually progressive jackpot slots. The RTP is lower specifically because these networks of progressive slots share a jackpot that can be in the millions. In fact, people have won close to £20 million on occasions, so you can understand why these machines have to rake more in terms of profit when so much could be paid out in one go. We already mentioned that there are three different variations of Roulette and that it is the French version that you should ideally play as it has an RTP of 98.65%, compared to that of 97.30% and 94.74% for European Roulette and American Roulette respectively. The latter in particular should be avoided if you wanted to have the best overall chance of success simply because it has a double zero as well as the standard single zero. It should be noted that the RTP is not really a good indicator of how often you’ll win when playing the game, as the variance attributed to the different bets will be the biggest factor here. If you’re going to bet on an evens bet such as red/black or odd/even, you’re obviously going to win more frequently when betting on individual or groups of numbers. Inside bets on roulette are high variance as these bets are where you will place your chips on particular numbers, rows of numbers or small groups of numbers. These are low variance as these bets in most cases are not going to come in often. Outside bets, on the other hand, are where you will find much better odds but much lower returns as you will be better on 1 in 2 or 1 in 3 shots mainly. Blackjack is an interesting one in terms of RTP as its standard RTP of 99.45% is only applicable if a player is playing the game correctly and using a good strategy. This is because Blackjack is not a game of pure chance and while the card is dealt randomly, how you play and the choices that you make are going to be the biggest factor on how well you do at the table. If you’re going to twist on 16 every time, your RTP is going to be nowhere near what is advertised – so make sure you play an optimum strategy and you should get close to the excellent RTP of Blackjack. If you’re playing a Blackjack variation online, the RTP of these games can differ as well, so be sure to check them out before playing. Variations such as Blackjack Switch and Classic Blackjack by Playtech and Microgaming respectively, are good examples of Blackjack variations that have even higher RTPs than the standard variety of the game. Baccarat is another enjoyable casino table game that offers up a fairly low house edge of just 1.06%. However, once again, that RTP will change depending on the bets that you place. It is common knowledge that the best bet is to bet on the banker as he will win just over 50% of the time and while there is a 5% commission to be paid on top of these bets, it still makes it the far better option than the player or tie bets. The tie bet does payout 8 to 1 but these generally only come in around 9.50% of the time, so you can clearly see that the house has quite the edge with this particular bet. We suggest sticking to the banker bet when playing this game and you just might come away a consistent winner. We feel that we have covered most of what you’ll need to know about RTP and payout percentages in this article but the answers to these common questions should help to summarise anything that you need to know. Back in the old days a physical slot machine would be completely mechanical and would require you to set things in motion by pulling on a lever. Today though, modern slot machines and indeed their online counterparts will use RNG (random number generator) software in order to determine how the reels end up. This software is essentially an algorithm that throws up a random number for each possible outcome. These are designed and regulated to be completely fair and random. Online slots just like any other casino game will offer an edge to the casino which essentially ensures that they will make a profit from its players over a long period of playing. How much money do slot machines make? There are thousands upon of online slots and land-based out there today and each of them will vary in how much money they make for their casinos. What can be said is that they are responsible for making more money for casinos than any other casino game due to their popularity. Some can make as much as 20% in profit and others as little as 2% but when you think about just how many slots a casino might have and how many players are playing them, this adds up to a lot of money. Slots are known for giving a worse return compared to other casino games but they are easily one of the simplest to play for players as no skill is required at all. What does RTP mean at an online casino? The RTP is the payout percentage of a game at a casino and basically tells you how much on average a game will pay out of the money that it has taken over time. A slot with an RTP of 93% will pay £93 out of every £100 that it takes on average. This RTP should not be taken for granted for every £100 that you wager as the average is worked out over many thousands of wagers and each player will get random results from each of their bets. What does house edge mean? The house edge is the advantage that the casino will have over you when playing their games. Each game will have a varying degree of advantage for the casino and this edge in a percentage average is how much money the game will make them in profit. Simply put, reverse the RTP of 93% to get a 7% house edge and the resulting £7 from every £100 will be their average profit. How do I know a payout percentage is accurate? Any casino that has a license to legally provide its services to the UK public will be regulated by the UK Gambling Commission. This authority demands that the casino whether online or land-based gives their players a secure and fair experience when playing their games. This means that the advertised RTP for the games at a casino must be accurate. A regulator has the power under their licensing to run random checks on these RTPs and can fine, prosecute and withdraw licensing to any casino that is found flaunting these regulations. The same can be said about the RNG (random number generators) of a casino. As you will now know, RTP is a very important aspect that you should consider no matter which game you want to play at a casino. That combined with the variance level of the bets that you’re placing will go a long way to determine how well you can do from any session that you enjoy. All games will give the casino an edge over you but as you will have seen from this article, some games really do not have a huge amount in terms of advantage over you. Furthermore, by choosing the games with the highest RTP, you are not only going to be able to maximise your winnings should they come but also minimize any losses when they also come your way. We hope that this article has provided you with the value that you’ve been looking for and would like to finish by wishing you the best of luck at the tables.